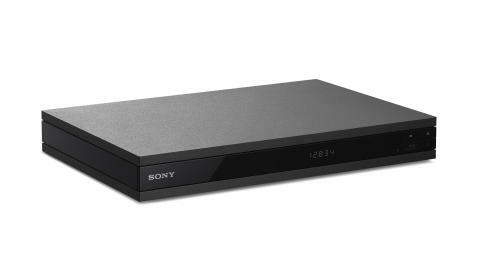 Continuing to deliver on its promise to deliver luxurious home entertainment experiences, Sony today introduced two range topping additions to its family of Blu-ray Disc Players that combine perfect picture quality with powerful audio. 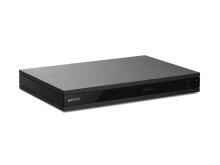 Great-looking movies on Blu-ray Disc are only the start with the brand new UHP-H1. Sony’s first High-Resolution Premium Audio and Video Player puts audio centre stage, with an engineering philosophy that’s focused on matching the finest viewing experience with the finest listening experience. The UHP-H1 treats you to audiophile-quality reproduction of any source – on disc, over your home network or streamed from an exciting range of online music services. 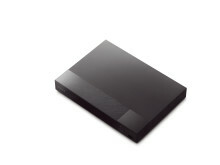 It can also stand alone or easily integrate into your existing Wireless Multi-room setup[i]. Slip in a CD, Super Audio CD or Blu-ray Disc; connect a USB loaded with High-Resolution Audio files; or browse your favourite Spotify playlist thanks to Spotify Connect. Whatever you’re listening to, sound is remarkably spacious and lifelike with High-Resolution Audio clarity and can be played on wireless speakers all around the house. The extraordinary sound and picture quality of the UHP-H1 starts with Sony’s exceptional rigid Frame and Beam chassis design that minimises mechanical vibration. Naturally there’s a full complement of audio codecs, letting you enjoy pristine High-Resolution files encoded right up to 192kHz/24-bit and double DSD (5.6MHz). 2-channel analogue audio output to your hi-fi amplifier, home cinema receiver or TV Sound Bar is via an ultra-precise 32-bit 768kHz audio DAC that ensures incredibly clear, natural sound quality. 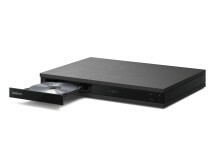 Most Blu-ray players send both audio and video to your TV via the same HDMI output. To ensure that sound quality is absolutely uncompromised, the UHP-H1 can split audio and video signals, routing them to separate HDMI outputs to reduce electrical cross-interference. There’s also an Audio Direct function that mutes the player’s video output and switches off the front panel display for the purest sound possible. Integrated Bluetooth® means you can slip on a pair of wireless headphones and enjoy movie soundtracks, music on disc or streaming sound files in privacy. LDAC™ technology by Sony triples the data rate transmitted over Bluetooth, making wireless listening even more detailed and transparent. Whether you’re watching movies, listening to a favourite CD or enjoying MP3 tracks on USB, DSEE HX™ upscales the original signal’s sampling frequency and bit-depth. You’ll be rewarded with higher fidelity and wider dynamic range that brings all your listening closer to High-Resolution quality. Whatever source you’re listening to, support for Wireless Multi-room powered by SongPal Link™ lets you share top quality sound from the UHP-H1 everywhere in the house. And don’t think that video’s been overlooked, either. Blu-ray movies in Full HD benefit from 4K 60p upscaling, with further picture refinement delivered by SuperBitMappingV, breathing new life into your treasured collection of movies on disc. The BDP-S6700 upscales Blu-ray movies to 4K UHD detail – but that’s only half the story. Like the UHP-H1 Premium Audio and Video Player, it’s a power-packed hub for enjoying a wide range of premium audio experiences and slots easily into your existing Wireless Multi-room setup. There’s no shortage of music on tap, with easy access to your Spotify playlists thanks to Spotify Connect. SongPal Link opens up extra listening options around the house with Wireless Multi-room. Bluetooth with LDAC ensures cleaner, more detailed wireless listening in private on headphones. The new UHP-H1 Hi-Res Premium Audio and Video Player will be available in May 2016 priced at approximately €400 and the BDP-S6700 4K Upscale Blu-ray Player will be available from March 2016 priced at approximately €160. 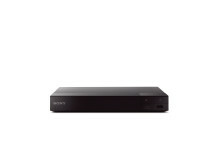 Full specifications on the UHP-H1 canbe seen here and full specifications on the BDP-S6700 can be seen here. [i]Wireless Multi-room capability will be delivered via Firmware upgrade. In addition, version 3.6 of SongPal will be required.